Picture the scene. Resplendently manicured gardens, boutique shops, quaint bricked houses with rose bushes outside their front doors, courtyards and hidden alleyways. Steep green covered hills flanked on either side of the single street. Bunting and bands on summer Sundays. A beautiful image, isn't it? There's every chance this scene could be from an H.E. Bates novel? Pop and Ma Larkin on one of their adventures. 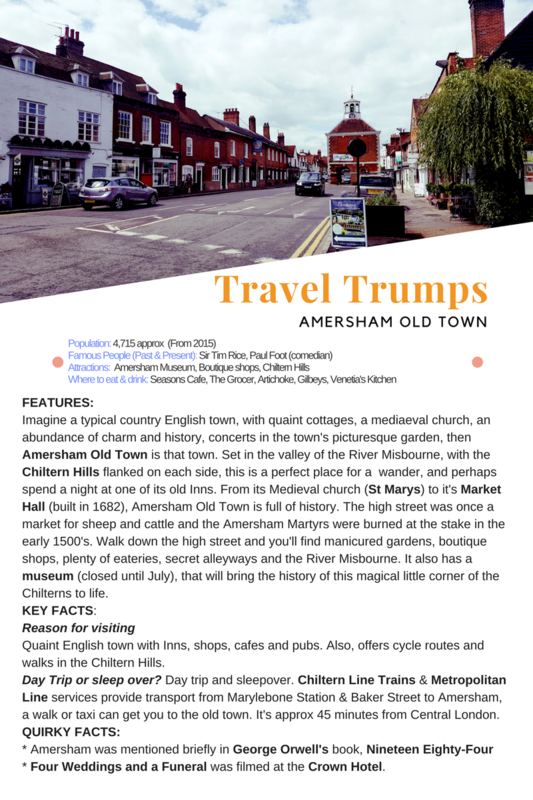 Amersham Old Town, in Buckinghamshire, is one of the Chilterns most beautiful small towns and has become the latest edition to Sketches, Travel Trump series. If you get the chance to visit, I'm sure you'll feel the same about this sumptuous little bit of England. As always thank you for your time and I do hope you'll keep a lookout for the next in the series. Doesn't the time just fly by? Before you know it mid-summer will have arrived and the nights will start to draw in once again, well in the UK they will, that's for sure. A lot has happened since the last update on the progress of Sketches major project for 2017; How Sidney Lost His Sneezes, our children's book. So in this post, we'll get you up to speed on all the latest developments. 1. You may be wondering why there is a Dr Who reference, well in a major twist, Sidney has had a regeneration, much like Dr Who, and is now called Geoffrey! I had sent a draft version of the book to a soon to be published author, Carlie Sorosiak, whose first novel (If Birds Fly Back) is to be published this month. Carlie was very honest with her criticism and advised us to make some changes, including changing the main characters name. That's what we've done and thus Sidney is now Geoffrey. We've also implemented other pieces of advice she gave, and we're really pleased with how it's looking. 2. We've started to push the promotion button a little further by putting together a short video, please see below. We're hoping to add this to a crowd funding campaign, with a few tweaks. 3. Sidney Geoffrey, sorry! has his own Twitter account, again to raise his, and the books profile. We'd be delighted if you followed him. 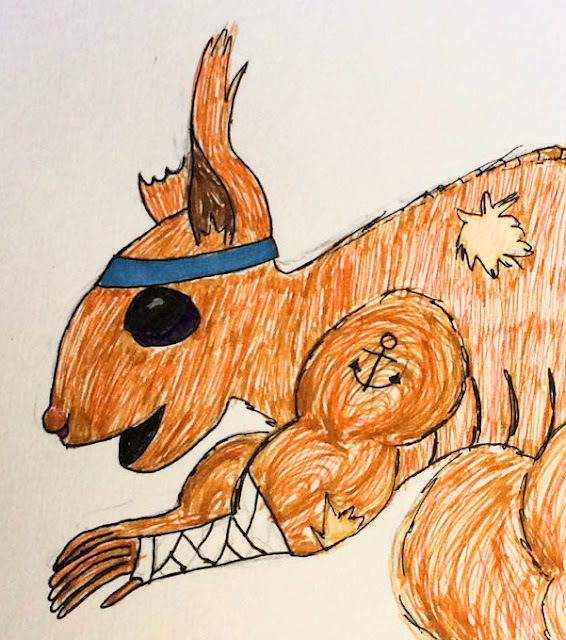 Click on Geoffrey to follow, Geoffrey the Squirrel. 4. Jess, when she's not busy folking around with Said the Maiden, The Sea and the Land and The Company of Players, (blimey, she's got a lot on her plate), has started to create sketches of the different characters. Here's a sneaky peak at one of the characters called Micheal. We've also got ourselves an editor, so we're moving forward with great anticipation. So as we enter the summer, the book is going to be edited and we'll start to format how it will look with Jess's illustrations. All very exciting. Keep a look out on the social media sites for updates on whether we do our own crowdfunding or if we go through another channel. There might even be a new video! As always thank you for your support, it's amazing. We look forward to the next update.